Airdate: The Oval Office. Returning: Footy SA, Footy WA. More football shows hit screens in coming days. Newcomer The Oval Office, produced by Crocmedia will follow Footy Classified at 11pm Monday in Victoria. “I’m excited to be involved in a show that will be a platform for current players to take us inside the four walls of a footy club,” McClure said. 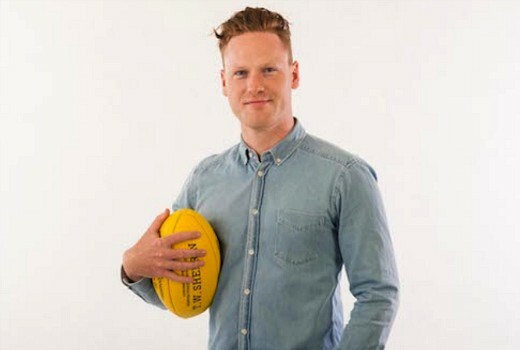 Each week the host, award-winning journalist Sam McClure, will be joined by two AFL superstars, including Brownlow Medallist Tom Mitchell, the face of the AFL, Mason Cox, Hawthorn great Isaac Smith, Carlton co-captain Sam Docherty and others. The Oval Office will delve deep into the inner sanctum of the AFL, discovering the psyche of the modern-day professional footballer. The Oval Office will be filmed in the Crocmedia Melbourne studios and go to air on Nine and 9Now Monday nights at 10.30pm. At the same time other state based shows Footy SA and Footy WA will screen in their respective states. These used to screen locally on Sunday arvos, but now move to 11pm Mondays. Footy WA is back for 2019, hosted by former West Coast Eagles player Scott Watters and eccentric footballing personality Scott Cummings – this Monday at 10.30pm on Nine and 9Now. Each week Footy WA will provide in-depth analysis of all AFL and WAFL games, with a strong focus on the two West Australian clubs, the Eagles and Dockers. As well as reviewing Round One this Monday night, Watters and Cummings will give their predictions on the fortunes of all 18 AFL teams in 2019 and look ahead to the upcoming games in what promises to be a massive footy season. Footy WA is produced by Crocmedia.